Calibration Services / Instrumentation – Engineering Dynamics, Inc.
Calibration – NIST traceable calibration and repair services for most types of sound and vibration instrumentation; including Quest Technologies (3M and TSI), Bruel Kjaer, Larson Davis, CEL, Casella, 01dB, Cirrus, Ametek (Dupont), Metrosonics, Rion, Extech, Datastick, Svantek, Extech, Accelerometers, Commtest, CSI, IRD and OTHER instrumentation brands. Turn-Around Time: typically less than five days. One-day service is available for an additional 20% per instrument. Instrument Rental: EDI also offers rental of sound and vibration instrumentation on a weekly or monthly basis. 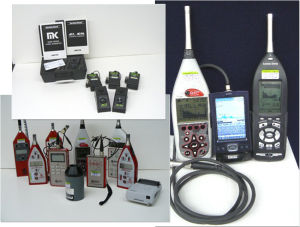 Instrumentation Sales: EDI sells new and used Larson Davis and Quest Technologies (3M, TSI) sound level meters and noise dosimeters. Call for availability. We maintain current calibration certificates on all our measurement standards traceable to the National Institute of Standards and Technology (NIST), and our calibration procedures meet the intent of ISO 17025 and 9002, ANSI/NCSL Z-540, GMP (Food and Drug Administration Good Manufacturing Practice). EDI provides annual recall notification on all customer instruments and chambers. A reminder letter is sent one month before annual calibration is due. The reminder letter includes all information about the equipment that is due for calibration: return authorization form, calibration costs, and instructions for packaging the instrumentation. Are handled on a time and materials basis, and the customer is ALWAYS contacted with exact costs before any repairs are made. Any item that cannot be repaired, has no available parts, or is elected not to be repaired, a diagnostic charge per item will be assessed. Ametek / Dupont noise and audio dosimeters – EDI is one of the last parts and repair locations in the USA. Our stock of part scan help keep your instruments operating and save you money. Quest Technologies – was purchased by 3M and is now owned by TSI. EDI has 30-years of experience maintaining and repairing these instruments and has some stock of obsolete parts.